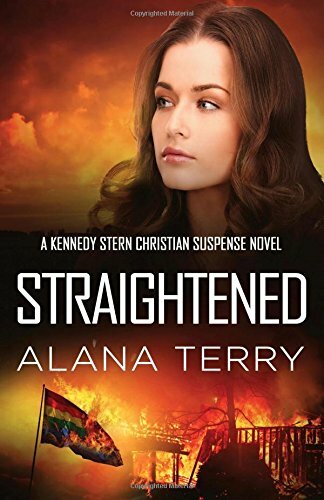 Straightened by Alana Terry is another fabulous Christian suspense. It is the fourth book in the Kennedy Stern series. 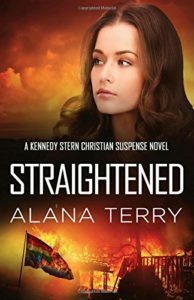 Alana Terry writes gritty Christian fiction about relevant topics, designed to educate and inform. Straightened deals with the topic of homosexuality. She writes with sensitivity. She also revisits the HIV topic, introduced in book three. This world is full of hate for those different to ourselves – be it sexual orientation, skin colour, religion. This was never God’s design. God is a God of love who wants us to live in peace with each other. “I’m sad. Sad that we live in a world where people are so full of hate.” People are quick to point the finger at others. They forget we are all sinners in need of a Saviour. And they forget about God’s grace that is freely given to all. The novel has the topic of judging. “Don’t judge someone just because they sin differently than you… Don’t judge someone until you’ve crawled into his skin and walked around a bit.” We need to concentrate on our own walk and not be so concerned with others. We all sin. There are no gradients to sin. All sin is sin and is covered by God’s grace and forgiveness. Another cracking story from Alana Terry. It’s on to book five now.